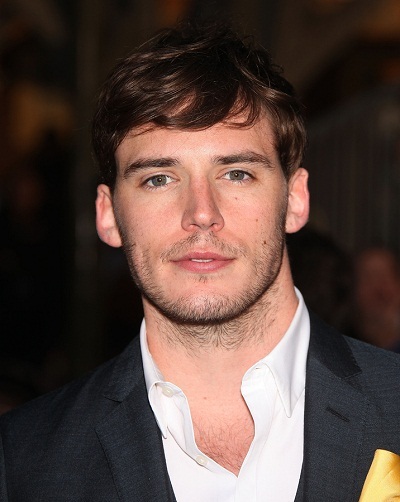 Place of Birth: Ipswich, Suffolk, England, U.K.
Sam Claflin is an English actor. He is the son of Susan A. (Clarke) and Mark J. Claflin. He is married to actress Laura Haddock, with whom he has two children. Sam is a ninth cousin, once removed, of actor Ashton Holmes, through Ashton’s maternal grandmother, and a fourth cousin, six times removed, of American suffragist Victoria Woodhull. Daniel Claflin and Sarah Edwards were the nine times great-grandparents of Sam, the eight times great-grandparents of Austin, and the three times great-grandparents of Victoria. The Claflin family traces back to Robert MacClaflin, who was born, c. 1639, in Scotland, and moved to Massachusetts. The surname was eventually changed to Claflin. Sam’s paternal grandfather is George K. Claflin (the son of Newton Cleveland Claflin and Lettie Mae Peloquin). George was born in Connecticut, U.S. Newton was the son of Ray Cleveland Claflin and Laura L. Hale. Lettie was the daughter of Peter Napoleon Peloquin, who was of French-Canadian descent, and of Hattie Isabelle Bailey. Sam’s paternal grandmother is named Yvonne J. Bush. Sam’s maternal grandparents are Percy G. Clarke and Patricia A. Coles. Thought he was Henry Cavill for a few seconds. its coming, got to renew my photo subscription.